The Lutheran Women's Missionary League (LWML) is the recognized auxiliary of The Lutheran Church-- Missouri Synod to coordinate the women of the church. 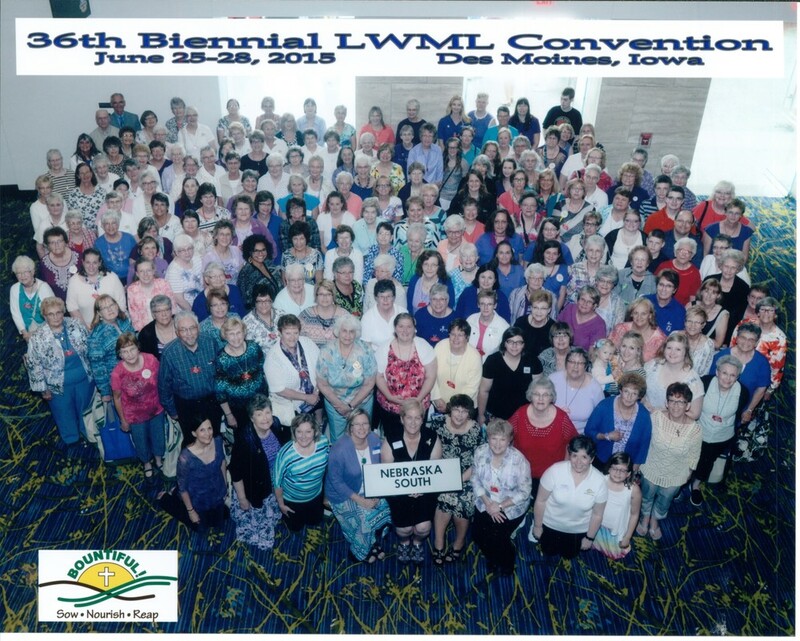 The LWML continues to be a leading force in missions and ministry around the world through their sacrificial gifts of mites, tithes, offerings, and tireless service. The work of these Lutheran Women in Mission reaches people of all walks of life, foreign and domestic, in the interest of the advance of witness, mercy, and life together for all those who are loved into life through the death and resurrection of our Lord Jesus Christ. Mission: To assist each woman of The Lutheran Church—Missouri Synod in affirming her relationship with the Triune God so that she is enabled to use her gifts in ministry to the people of the world.